We operate in the FOOD SERVICES, HOTELS, RESTAURANTS & CATERING (HORECA) and FAST MOVING CONSUMER GOODS (FMCG) space. We craft innovative in house solutions for your company's needs: creating clever sales, marketing and digital marketing strategies for businesses to punch above their weight and compete effectively in the market place. Urban Brand creative - are you happy with your brand & maketing strategy? Our years of industry experience and "fresh eyes" approach means we come to your business offering beautiful, innovative solutions that work. We shun "group think" & design a platform of clear thinking, and design a roadmap for your brands success. It's impossible to underestimate the power of good marketing for your business. In theory the rule of thumb is your company should be budgeting 10% of its turnover for marketing. The reality is that most companies don't have that luxury. We work with you and more importantly your budget and help create impactful and memorable marketing strategies for your company. Doing business on the high street has never been more competitive. How to effectively trade against larger businesses with expansive resources can be difficult. Maximizing the customer experience and revenue streams for a business is essential. In an age of social media and digital marketing, the old axiom that "we buy with our eyes!" has never been more relevant. We can give your product real "pop" through creating a database of lush, engaging images. We will work with you to on the concept and design of your photo-shoot, designing a storyboard with a narrative arc. From nimble guerrilla social media imagery to more expansive professional photo-shoots - we can help! 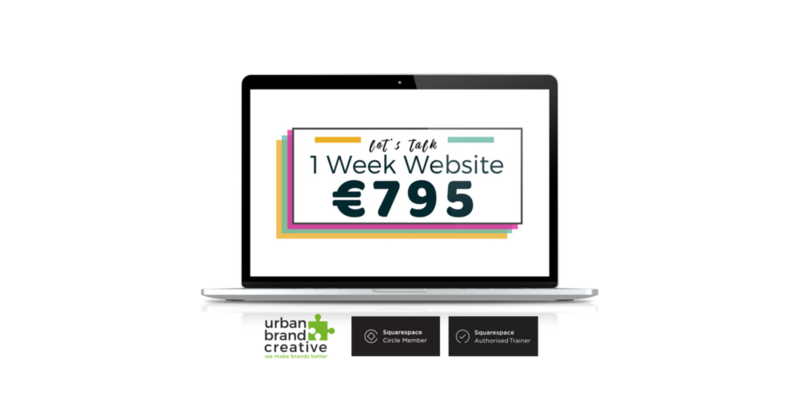 Urban Brand Creative are not just recognized Squarespace specialists, we are delighted to be a Squarespace Circle Member, part of a community of experts, and selected as the only Squarepace Authorised Trainer in Ireland, (one of 100 trainers chosen from industry leaders around the world!) #Honoured. As Squarespace leaders, we have access not only to the best in beta programming, new releases and a community of global expertise, but we can offer substantial discounts for new clients! Social media is here to stay. A recent report by Kantar suggests that the #1 business sales tool - the company website, will be surpassed by social media within the next 36 months. Social media is more than posting cute pictures of kittens and fishing for likes, shares and retweets. It's an intoxicating brew of algorithms, demographics, visual theatre, hashtags and time focused timed posts. We will work with your business to design a social media conversational tone for your business that reflects your core company personality, with originality panache and style! In order to succeed in a highly competitive market, it's essential to keep up to date with your industry and the market place. This is increasingly difficult when there are so many questions that need continuously updating. What was true yesterday, may change tomorrow. What is your market worth? What is your competition up to? What is the average spend? What are the next trends? We regularly carry out and update industry wide reports, that track channels, category management and insight reports. Talk to us today about bringing clarity through the white noise of data. 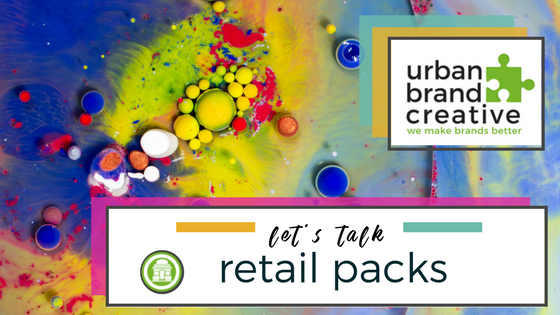 Urban Brand Creative's team of creative graphic designers can design logos, packaging, promotional material, point of sale information, menus, flyers and other promotional material for your company. Given our wealth of experience in the food service space, we can engineer and design menus for you bar, restaurant, coffee shop or catering company, based on the best principles of menu engineering, consumer psychology, market trends and great design - identifying category captains, GP, on-trend dishes etc. We can work with your current branding, upgrade your branding or create a brand new concept for you. Alternatively we can work with your designer of choice to project manage any of your needs and help take your menus to the next level. It's time to get busy planning your brand & marketing strategy for 2018. View our shiny new brochure now & let 2018 be the year that Urban Brand Creative makes your brand better!